Handmade gifts are my favorite part of the holiday season. I’ve always taken a liking to crafting gifts for others—partly because I’m terrible at picking out gifts, but also because I like giving people more personalized gifts. Knitted gifts are probably my favorite handmade gift during the holidays. 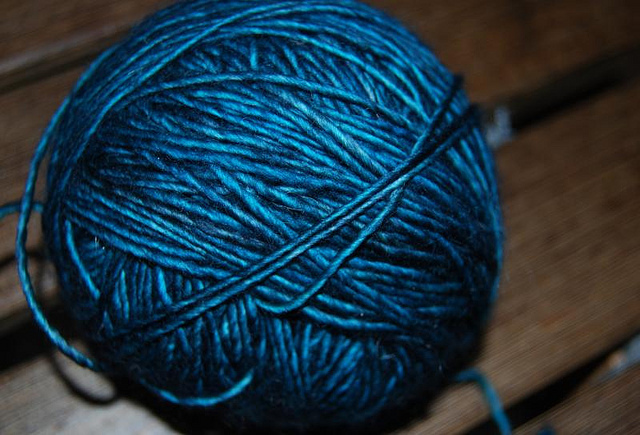 That way, I have control over the entire gift-making process, from picking out the yarn to casting-off my final row. Also, I’m a firm believer in the idea that one can never have too many scarves or hats. Warm Up America! : The Warm Up America project takes knitting or crocheted fabric swatches from all over the country and sews them into blankets for charity. Whether you send one swatch or one hundred, this project will make sure your hard work goes to a loving home! Knots of Love: If you’re a fan of making caps or small blankets, this charity is definitely something for you! Knots of Love takes donations of knitted/crocheted caps for cancer patients, as well as blankets for infants in intensive care. Check out their website for more information! Krochet Kids Intl: If you’re not into knitting or crocheting, this one’s for you. Krochet Kids sells crocheted goods made by some very awesome ladies in Northern Uganda and Peru. The program gives these women a source of income, as well as an educator and mentor to help create a positive long-term impact on their lives. Each purchase comes with a tag signed by the woman who made it, so you can send them a personal ‘thank you’! Hopefully this list helps you start thinking of all of the awesome ways you can get involved in the coming new year!